A “fan-fic” novel, set between the end of the “Endeavour” TV series, and before the beginning of “Morse?” And written by the chairman of the Inspector Morse Society? Available free in e-book form? I was willing to take a chance on that. And all in all, I thought Dead Man’s Walk worked pretty well. The year is 1971, and Morse is a Detective Sergeant in the Oxford police. A stamp dealer named Hugo Latimer is found dead next to his tumbled bicycle, cause of death suspicious. Shortly after, a man named Ridler is found murdered in a similar manner. 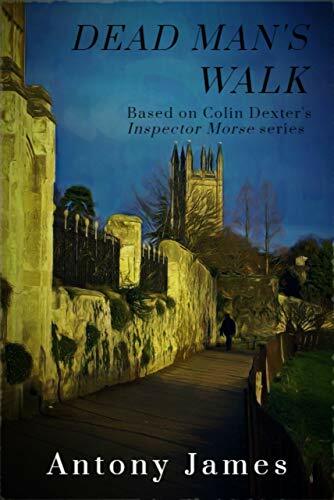 Young detective Morse is immediately suspicious, because the crime scenes are both near the Martyrs’ Memorial in Oxford, where Protestants Latimer and Ridley were famously burned at the stake. This is obviously a puzzle meant for him. Die-hard Morse fans may find non-canonical elements here to carp at – I myself only noticed a couple homonym problems, like “populous” for “populace,” to complain of (Morse would have been on those like a terrier on a rat). There’s romance. There’s an appreciative scene set in the Eagle & Child pub, with (laudatory) comments on the Inklings. The author sometimes indulges in presenting travelogues – telling us too much about the histories of places where Morse visits. There’s a depiction of a Christian family that seemed to me unsympathetic – but then Morse was an atheist, so what do I expect? There’s also a boy named Dexter here, who wants to be a writer – but it can’t be author Colin Dexter, because he was an adult by this time. I have no idea what that was about. I found the final solution of the mystery a little disappointing, but all in all I enjoyed reading Dead Man’s Walk quite a lot. I recommend it, especially for fans of the Colin Dexter novels and the famous TV series (plural). “I think Morse, if he had really existed and was still alive, would probably say to me, ‘Well, you didn’t do me too bad a service in your writing’. “He might say, ‘I wish you’d made me a slightly less miserable blighter and slightly more generous, and you could have painted me in a little bit of a better light’. Dexter took a shrewd tack with the TV series based on his books. Some authors hate to see their precious works disfigured on film – John D. MacDonald famously loathed every movie or TV show adapted from any of his works, including the original “Cape Fear,” which is considered a classic. But Dexter embraced the BBC series and deliberately accommodated it. For instance, Sergeant Lewis is actually two policemen in the first book, Last Bus to Woodstock. But seeing how well the pairing of actors John Thaw and Kevin Whately worked onscreen, he quietly blended the subordinate officers and carried on without missing a step. I enjoyed the Inspector Morse books, and the TV series perhaps even more. And I think I like the new prequel, Endeavor, more than that. 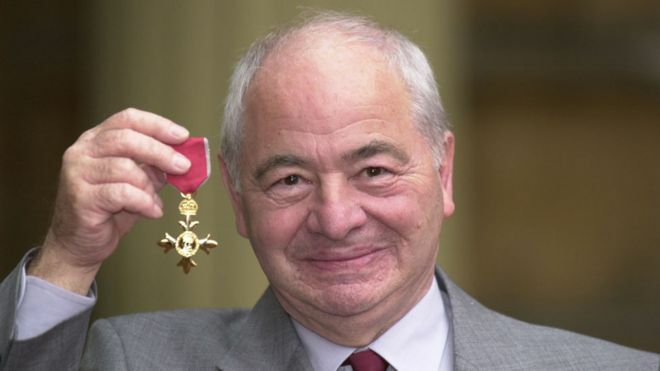 RIP Colin Dexter.